Like a payment plan or Offer in Compromise, the IRS allows certain individuals and businesses to agree to a Partial Payment Installment Agreement, or PPIA, in order to pay back some or most of your tax debts. This can help you make manageable and reasonable payments based on your means to help avoid financial repercussions that can affect your future and your livelihood. As an individual or business owner facing tax-related debt, it is advisable to turn to a knowledgeable San Antonio Tax Debt Relief Attorney for representation. At The Law Office of Tony Ramos, P.C., our Tax Debt Relief Attorney can provide you with advice and guidance every step of the way to devise a payment plan that works for your unique situation. Need help with a Partial Payment Installment Agreement? Talk to our Tax Debt Relief Attorney in San Antonio, TX! If you qualify, the IRS may them negotiate an agreement based on your income, expenses, ability to pay, and whether you can use equity or assets to pay your debts. With the help of our San Antonio Tax Debt Relief Attorney, you can find a favorable plan that keeps your best interests and your financial future in mind. If you qualify and agree to a PPIA, the Internal Revenue Service will review your situation every two years. If they notice an improvement, they may raise your payments. This is why it is vital that you work with a San Antonio Tax Debt Relief Attorney who gets to know you and your family and will work with you from the start of your case to the end. 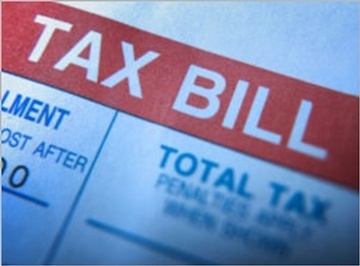 Contact San Antonio tax debt relief attorney at The Law Office of Tony Ramos, P.C. for partial payment installment services.